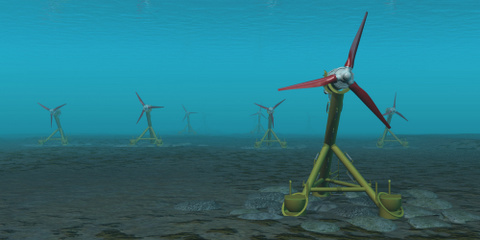 The ANDRITZ HYDRO Hammerfest HS1000 tidal turbine that was installed and connected to the grid last December has spent the last few months undergoing tests at the EMEC test site in Orkney. The initial testing period has been very positive with the device achieving full export power. You are currently browsing the Islay Energy Trust blog archives for May, 2012.